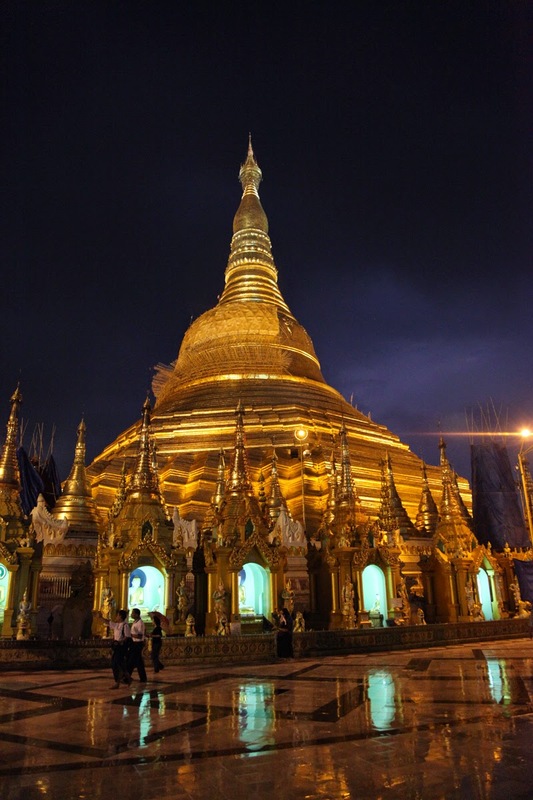 No visit to the Union of Myanmar is complete without a visit to the 2,500 years old Shwedagon Pagoda, which enshrines strands of Buddha's hair and other holy relics. Located west of the Royal Lake on 114 -acre Singuttara Hill in Yangon, Shwedagon Pagoda is the most sacred and impressive Buddhist site for the people of the Union of Myanmar. From a humble beginning of 8.2 meters, the Shwedagon Pagoda today stands close to 110 meters. 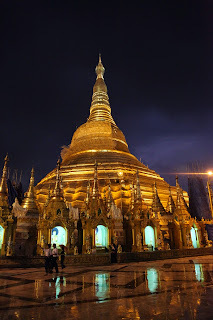 Shwedagon Pagoda is covered with hundreds of gold plates and the top of the stupa is encrusted with 4531 diamonds; the largest of which is a 72 carat diamond. It is clearly one of the wonders of the religious world.